Parents can consolidate both private and PLUS loans originally taken out for their dependent students. Choose refinancing options to fit your budget. At Education Loan Finance, we believe that parents who have assisted in financing their children’s college education also deserve the opportunity to find flexible repayment plans with competitive interest rates. Education Loan Finance offers refinance options for Parent PLUS or private education loans, with terms from 5-10 years. Below are sample payments for a $25,000 loan using each of Education Loan Finance’s parent loan refinance options. The interest rate and monthly payment for variable rate loans may increase after closing. Your actual interest rate may be different than the rates in these examples and will be based on the term of the loan, your financial history, and other factors, including your cosigner’s (if any) financial history. To qualify for refinancing or student loan consolidation through Education Loan Finance, your child must have at least $15,000 in student loan debt and must have earned a bachelor’s degree or higher from an approved post-secondary Education Loan Finance institution. Education Loan Finance parent loans are limited to a maximum of the 10-year term. All rates are subject to change without notice. All loans are subject to credit approval. Additional terms and conditions apply. * The interest rate and monthly payment for variable rate loans may increase after closing. Your actual interest rate may be different from the rates shown above and will be based on the term of your loan, your financial history, and other factors, including your cosigner’s (if any) financial history. For example, a 10 year loan with a fixed rate of 6% would have 120 payments of $11.00 per $1,000 borrowed. 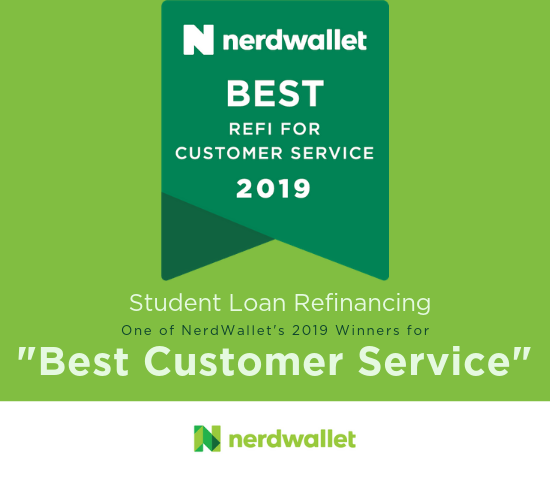 To qualify for refinancing or student loan consolidation through Education Loan Finance, you must have at least $15,000 in qualified student loan debt and must have earned a bachelor’s degree or higher from an approved post-secondary Education Loan Finance institution. Education Loan Finance Parent Loans are limited to a maximum of the 10-year term. See what you could save with our Student Loan Refinancing Calculator! We deliver what graduates need most: Affordable Rates. Flexible Terms. We have no application fees, no loan origination fees and no penalty for paying off your loan early. No Maximum Loan Amount for exceptionally well-qualified borrowers. Loan Terms offered in 60, 84, and 120 month maturities with fixed and variable interest rate structures. All loans to be included in a SouthEast Bank Refi Loan must be “Qualified Student Loans” as defined by the U.S. Internal Revenue Service. Employer-sponsored education financing and payment plans, school-sponsored tuition payment plans. Parent loans are limited to a maximum term of 120 months. The applicant must still meet the graduation and school eligibility criteria.